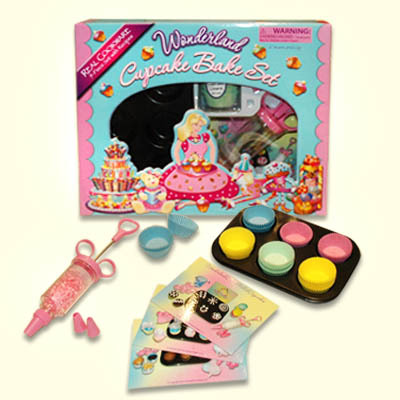 Kids and adults will be able to stir up some fun with our Wonderland Professional Style Cupcake Baking Set. This 9 piece collection includes: Nonstick mini cupcake pan, cupcake decorator with 6 tips, paper cupcake liners, & Four Wonderland Recipe Cards. Cupcake pan is dishwasher safe. Adult supervision required. Your cupcake creations will be perfect for tea party celebrations, afternoon playtime or magical adventures. 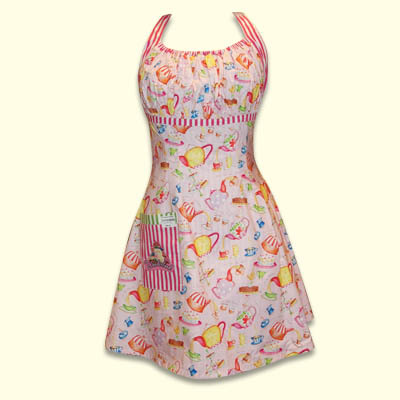 Don't forget your Wonderland apron and Allyson Wonderland Bear, too! She will talk to you as you bake!